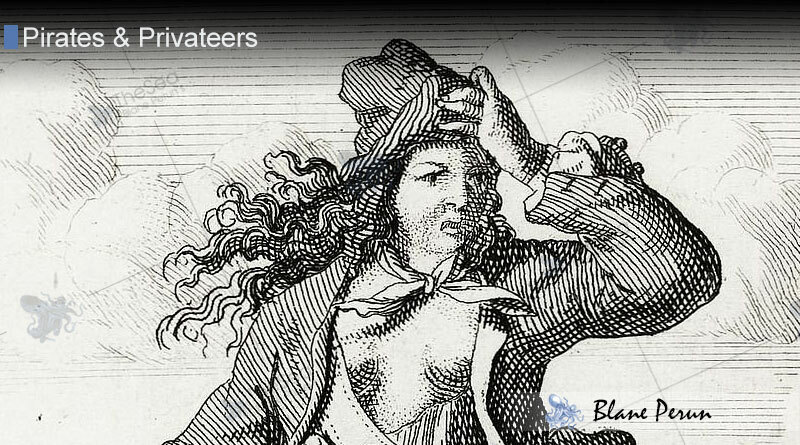 There are only two known women to be convicted of piracy in the first decades of the 18th century, during what has since been called the golden age of piracy. Mary Read was one of these women and the only one known to have disguised herself as a man. This disguise did not last her entire pirating career, however, and her captain, Calico Rackham Jack, eventually discovered her gender. She remained with the crew nonetheless, and continued plundering and seafaring until her capture, imprisonment and death, in 1721. Mary Read was born an illegitimate child sometime in the late 1600’s, reportedly to the widow of a sailor. She was introduced early in her life to the benefits of a male disguise when her mother would dress her like her deceased half-brother in order to receive financial support from his grandmother. The ruse worked, and the pair was able to live off of this inheritance for many years. When Mary came of age, she again disguised herself for the job of a footboy, and then as a young sailor. She even joined the British military under this disguise. When Mary Read became bored with peacetime military service, she left for the West Indies and had her ship overtaken by pirates on the way. She was still in disguise and pressed into service aboard their ship, where she officially turned pirate and later joined the ship of famous pirate captain Calico Jack. Interestingly, the only other female pirate of the time, Anne Bonny, was also aboard the same ship, and a potential love affair between the two is what led to Mary Read’s gender becoming known to the crew. 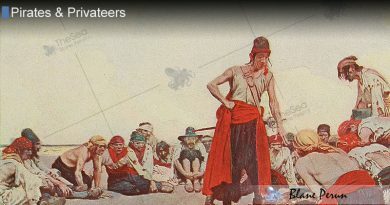 In 1720, during a rum party in which most of Rackham’s crew was debilitatingly drunk, pirate hunter Jonathan Barnet ambushed them in the dead of night. 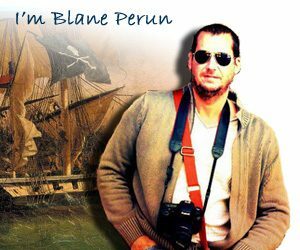 Only Read, Anne Bonny and one other crewmember were fit for combat, and they were quickly overwhelmed, captured and imprisoned. The pirates were put on trial in Spanish Town, Jamaica, where all were sentenced to hang, although the two women managed to extend their lives by pleading their pregnancies. Mary Read, nonetheless, died in prison shortly thereafter, presumably of disease. There remains no record whatsoever of the baby she was reportedly pregnant with.